Zlatan Ibrahimovic has not received a contract offer from Manchester United according to his agent, despite speculation suggesting otherwise. 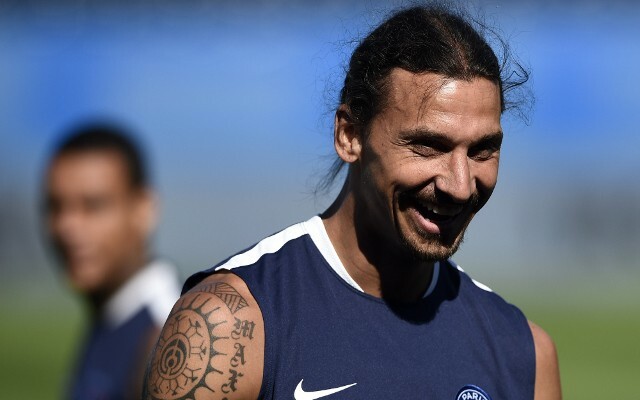 The 34-year-old has confirmed that he will leave Paris Saint-Germain when his contract with the Ligue 1 champions expires this summer, and United have been one of the clubs linked with making a move for him. However, despite reports in France suggesting that the Red Devils had offered the Swedish international a one-year deal with an option for a second, Mino Raiola has denied that they have received such an offer from the Premier League outfit. Ibrahimovic has been in stunning form this year, scoring 48 goals and providing 18 assists in 50 appearances in all competitions as he continues to lead PSG’s domestic dominance. Although he was left disappointed in the Champions League again this year, he will look back on his successful time in Paris with strong emotions, but he now faces a difficult decision on where he will end up next. Naturally, there is reported interest from all over the world with a return to Italy and a move to MLS being touted, but given his performances this year, there is a strong argument to suggest that he would still flourish in the Premier League. His history with Louis van Gaal during their time together at Ajax could make a move to Old Trafford problematic if the Dutchman remains in charge next season, but if he is replaced, then it could well pave the way for the Swede to become part of United’s transfer strategy this summer.